Major rebuilding works were carried out in the late 18th and early 19th centuries by the Carnarvon family and the old red brick and freestone house was converted to a classical Georgian mansion within a pastoral setting. The major transformation, however, was just about to happen. In 1838, the 3rd Earl of Carnarvon brought in Sir Charles Barry to transform his home into a grand mansion which would impress the world. It was a time of energy and change. The young Queen Victoria had just come to the throne, and the whole decade witnessed innovation in politics and cultural life. The new “Highclere Castle” dominated its surroundings in a most dramatic way. 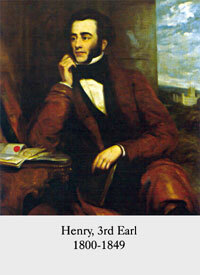 No wonder Benjamin Disraeli's first words on seeing Highclere were "How scenical! How scenical!". The structural work on the interior of the Castle was finally completed in 1878. Once built, the Castle became a centre of political life during the late Victorian era. In many ways Highclere Castle epitomised the confidence and glamour of the Edwardian period in the first few years of the twentieth century. Visitor books record the house parties full of politicians, technological innovators, Egyptologists, aviators and soldiers. During the First World War, Almina, the 5th Countess of Carnarvon, transformed the Castle into a hospital, and patients began to arrive from Flanders in September 1914. She became an adept nurse and a skilled healer and hundreds of letters from patients and their families bear testament to her untiring work and spirit of generosity. 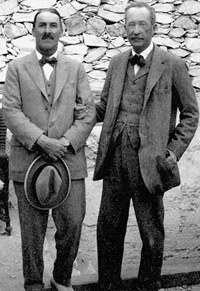 The Castle returned to a private home and in 1922 the 5th Earl of Carnarvon and Howard Carter discovered the tomb of Tutankhamun, the first global world media event. Following the death of the 5th Earl, his son, who then became the 6th Earl, returned to Highclere where he lived until 1986. During the Second World War, the Castle briefly became a home for evacuee children from north London. The current (8th) Earl and Countess of Carnarvon live partly in the Castle and partly nearby but remain closely involved in the Castle's day to day life and future.